The best money market accounts offer a combination of low risk and high APYs. If you’ve got some money you want to put into a savings vehicle but you’re not interested in risky investments, you have options. Money market accounts can be a great choice if you want to keep your money handy and earn some interest. What is a money market account? It’s a type of savings account with limited check-writing abilities. Keep in mind that MMAs and money market funds are two different things. One big difference is that money market accounts are insured by the FDIC for up to $250,000, but money market mutual funds typically are not. The best bank rates on standard savings accounts are usually lower than the best money market rates, if you’re measuring by annual percentage yields. For instance, Sallie Mae Bank offers a rate of 1.05% APY on its money market account and First Central Savings Bank offers 1.10% APY. Rates accurate as of June 2, 2017, except for Ally Bank and Synchrony Bank, which is accurate as of today. With a Sallie Mae Bank money market account you’ll earn a standard rate of 1.05% APY. No ongoing minimum balance and no monthly fees are required. You can access online and mobile banking and write checks directly from this money market account. 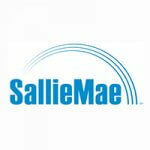 Sallie Mae Bank is also a well-known student loan provider. The BBVA money market account offers tiered rates of interest depending on your banking location and the amount you invest. Although you can open an account with only $25, you must keep at least $10,000 in your account to avoid a steep monthly maintenance fee of $15. The higher your balance, the higher your interest-earning possibilities. Account holders can use online and mobile banking. 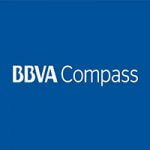 BBVA also offers traditional savings accounts, CDs, IRAs and small business accounts. Besides Synchrony offering the standard interest rate of 1.20% APY on its money market account, it won’t cost you a dime — not only are there no monthly fees, there is no minimum opening deposit or minimum balance requirement, and you won’t get charged for online or mobile banking. You can access your funds online or by phone, check or ATM. In addition, Synchrony Bank will reward you for your business with loyalty perks. 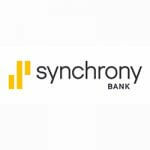 You can also take advantage of traditional banking products at Synchrony, such as CDs, savings accounts, IRA CDs and IRA money market accounts. Ally Bank offers a money market online account with a 0.90% APY, which is low. You won’t, however, have a minimum opening deposit or monthly fees regardless of your balance. You’ll get online and mobile banking, plus ATM banking and the ability to deposit checks remotely. 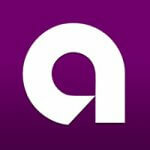 Ally Bank is completely online with no brick-and-mortar branches. Ally also offers more traditional banking products like credit cards, auto loans, home financing and brokerage accounts. The MyCBB money market account features a lower interest rate of 0.60% APY and you need $100 to open one. No minimum balance applies and you’ll pay no fees; you’ll also have access to mobile and online banking. MyCBB is a division of California Business Bank California Business Bank, which adds a layer of security to your debit card purchases with its new SecurLOCK Equip app. 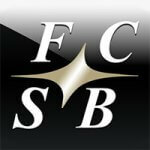 MyCBB also offers free checking accounts and 12-month CDs. 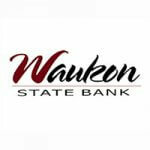 Waukon State Bank offers tiered interest rates: For a balance less than $25,000, you’ll earn at a rate of 0.50% APY and for a balance more than $25,000 you’ll earn 0.60% APY. Interest is compounded monthly and you’ll need $100 to open an account. Online and mobile banking are free, but if your balance goes below $5,000, a $5 monthly fee applies. Waukon’s other conventional banking products provided include real estate financing, personal, commercial, and agricultural loans and credit cards. Oconee offers a promotional interest rate of 0.50% APY for the first 180 days, then the rate reverts to the standard interest rate. You’ll need $10,000 to open an account and you must maintain that amount to receive the promotional rate. You’ll pay a $15 monthly service fee if your balance dips below $2,500. 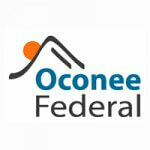 Online and mobile banking are available at Oconee. It also offers other savings accounts, including its Money Moose Savings, which is available for younger customers. Minnesota residents need a $1,000 deposit to open a Wanda State Bank money market savings account. You’ll earn an interest rate of 0.40% APY if your balance is below $1,000 and 0.50% APY if your balance is above $1,000. Online and mobile banking are available and no minimum monthly balance is required — you can also deposit checks remotely via your smartphone. 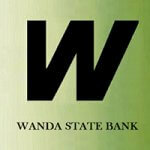 Wanda State Bank also offers checking and passbook savings accounts, plus health savings accounts and a variety of loans. Interest is compounded daily on this account. 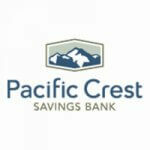 Pacific Crest Saving’s other banking products include three types of checking accounts, CDs, IRAs and business accounts. At 1.10% APY, First Central Savings Bank’s Premier Money Market account offers one of the best rates available. 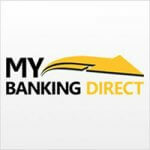 Online and mobile banking are available with this bank. You’ll need a $10,000 minimum opening deposit and $10,000 minimum balance to avoid the $10 monthly fee. Interest is compounded daily and credited to your account monthly, but First Central reserves the right to change the interest rate. The bank offers a wide range of savings accounts, plus checking accounts, CDs, IRAs and business banking products. A $2,500 minimum deposit will get you a MyBankingDirect.com money market account — you’ll earn 0.25% APY if your balance goes below $5,000 and 1.15% APY if it’s more than $5,000. You won’t pay a monthly account fee and you’ll have check writing capabilities. Interest is compounded and credited to your account monthly. Next Up: What Is a Business Money Market Account? Methodology: GOBankingRates.com identified the best money market accounts by analyzing standard rates, minimum required balances, minimum required opening deposits and whether online/mobile banking is available. Data is accurate as of June 2, 2017. All fees and rates are subject to change at the financial institutions’ discretion. Some bonus offers might no longer be available on the institutions’ websites, depending on how you access the web page. Thinking about opening a money market account? Here are eight questions to ask before you do.